India’s groundwater situation is complex, to say the least. The myopic view of groundwater, as posed through the national- and state-level aggregate picture, needs to be overcome through efforts at assessment of aquifers at the right scale. However, even the aggregated, national picture on groundwater resources reveals that the groundwater crises of depletion and contamination of India’s aquifers are now evident across India’s diverse groundwater systems. Disaggregation holds the key to accurate understanding of groundwater problems in India, whether in the case of groundwater overexploitation or groundwater contamination, it is important to ‘typologize’ the groundwater situation in an area. Such typology emerges as a consequence of mapping aquifers, understanding their behaviour through space and time, understanding patterns of use and exploring opportunities for people to come together and manage groundwater resources collectively. 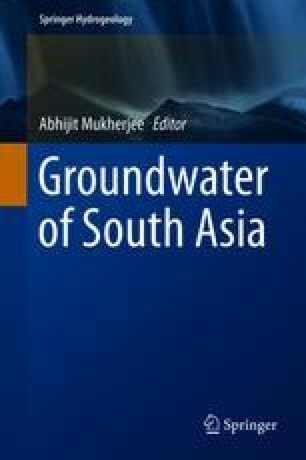 The typology of groundwater resources in India is best defined by the hydrogeological factors that determine aquifer storage and transmission, the time factor over which impacts of overuse and/or quality declines occur and the menu of feasible supply- and demand-side interventions. Piloting groundwater management initiatives is called for, the pilots being defined through the characterization of aquifers at proper scales, beginning with appropriate conceptual models. The fugitive nature of the (groundwater) resource and the open-access domain in which it is commonly used pose major challenges in implementation of common pool resource (CPR) principles in the practice of groundwater management. In this light, the development of strategies to respond to groundwater overuse and deteriorating groundwater quality require a process-based approach, rather than big, one-fit-all prescriptions. Such an approach has many advantages over mainly mainstream ‘institutional silo’ approaches. First, ‘processes’ are central to addressing groundwater problems. Second, strategy development can happen efficiently only in a ‘phased’ manner, with each strategy subject to adaptation and refinement as experience is gained. And finally, processes form the basis to overcome challenges of scale and diversity in dealing with groundwater management and governance in India.